CORSIER-SUR-VEVEY (February 1) -- United World Wrestling has posted the first updates to the 2018 Ranking Series on the organization's homepage. 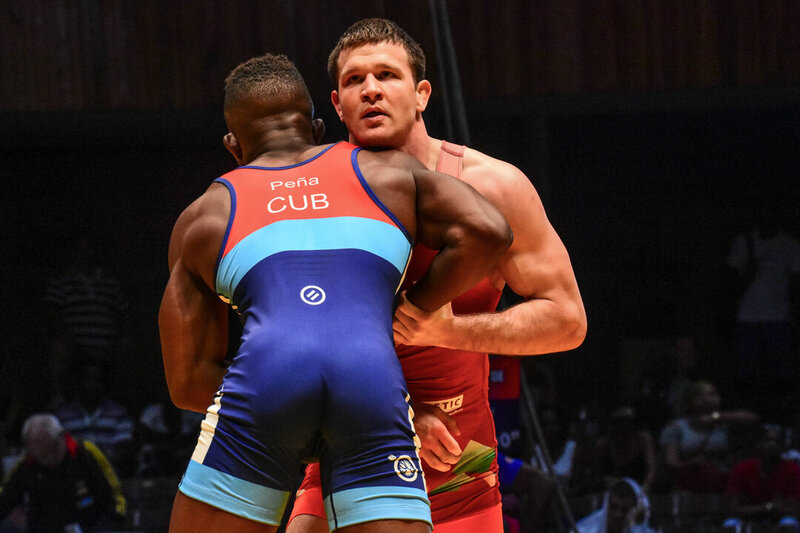 The rankings come after an opening weekend of Greco-Roman and freestyle tournaments last week in Iran and Russia, respectively. Winners of the Ranking Series events each received 8 points, plus an additional point for ever entry in their bracket. Placement points (plus number entries) were also awarded to the rest of the top five finishers: runner-up (6), bronze (4) and fifth place (2). The next Ranking Series events are scheduled for mid-February with women’s wrestling opening their season at the Klippan Ladies in Sweden, while Greco-Roman wrestlers get their second event at the Cerro Pelado in Havana, Cuba. Points will be automatically uploaded on the UWW homepage following the conclusion of all Ranking Series events, continental and world championships. * Continental Championship and UWW Select Ranking Events of the concerned year. Should top seeded athletes not participate in the Senior World Championships or Olympic Games the same criteria will be applied to determine which athletes move into the seeding for the event. Below is a look at the points after the first competition of the 2018 Ranking Series at the Ivan Yarygin (freestyle) and Takhti Cup (Greco-Roman). CORSIER-SUR-VEVEY (Aug. 2) -- Three-time world champion Riza KAYAALP (TUR) moved to No.1 at 130kg after claiming a gold medal in the final Ranking Series event for Greco-Roman wrestling. Kayaalp, who climbed from No.5 in the rankings last month, won a gold medal at the Vehbi Emre with a 2-1 victory over Kiryl HRYSHCHANKA (BLR). It was Kayaalp's sixth Vehbi Emre title. Earlier this year he won his eighth European title. Kayaalp was one of three new No. 1-ranked wrestlers in Greco-Roman. The other two wrestlers to move up to No. 1 in Greco-Roman were Kazbek KILOV (BLR) at 77kg and Islam ABBASOV (AZE) at 87kg. Kilov is coming off a silver-medal performance at the Vehbi Emre. He was a gold medalist at the Grand Prix of Zagreb earlier this year. Abbasov, like Kilov, won a silver medal at the Vehbi Emre. He has had strong results this year, winning a bronze at the World Military Championships and a gold at the U23 European Championships. Hungary, Kyrgyzstan and Turkey have multiple top-ranked wrestlers. Hungary's No. 1-ranked wrestlers are Balint KORPASI (72kg) and Balazs KISS (97kg). Korpasi, a 2016 world champion, won gold medals at the Grand Prix of Hungary and Cerro Pelado International, and a bronze medal at the European Championships. Kiss, a returning world bronze medalist, won a gold medal at the Grand Prix of Hungary after picking up a bronze at the European Championships in late April. Kyrgyzstan wrestlers K. ZHOLCHUBEKOV (60kg) and U. AMATOV (63kg) held their top ranking. Zholchubekov won gold medals at the Grand Prix of Hungary and Takhti Cup, and finished as a bronze medalist at the Asian Championships. Amatov has earned medals at the Takhti Cup (bronze), Asian Championships (silver) and Grand Prix of Hungary (bronze). Other wrestlers to hold their top ranking in Greco-Roman include Ekrem OZTURK (TUR) at 55kg, Almat KEBISPAYEV (KAZ) at 67kg and Daniel ALEKSANDROV (BUL) at 82kg.